Even though it’s mid-January it’s not too early to start thinking about the approaching allergy season. Whether you suffer from itchy eyes, sneezing, dry throat, or congestion, one possible solution is to change the air filters in your home. Normally we view outdoor air as the source of a lot of allergy or respiratory problems, but indoor air often has many contaminants that can negatively impact your health. The Filters Fast MERV 13 Return Grille Air Filter – 5″ is 5 inches thick and comes in several different sizes to match your home. 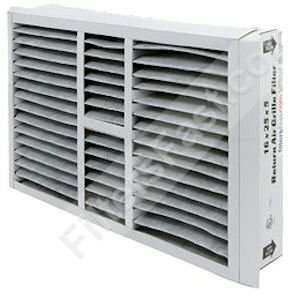 This return grille air filter reduces dust, dirt, pet dander, mold spores, and bacteria, and at least 90% of all particles between 1 and 10 microns in size. Measuring 5 inches in depth, this air filter fits standard 1 inch size and then extends 4 inches into your return, resulting in higher quality filtration. The Universal Room Air Conditioner Filter removes harmful airborne allergens from your indoor air, including pollen, mold spores, bacteria, dust mites, and pet dander. If you’re suffering from asthma, allergies, and/or respiratory problems, this room vent filter is an ideal choice for your home. 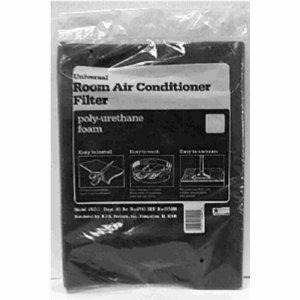 This universal filter is cut-to-fit and easy to use around your home. With new air filters from Filters Fast, you can be prepared for the coming allergy season!